OUR KIDS KARATE Classes Teach the Skills to both Excel in life and Academic Success! lifetime and much, much more." In 30 days or less. For FREE. "OUR Guarrantee to you"
JUST FILL IN THE FORM BELOW NOW! Confidence is the Key to helping your child be..
Happpy, Safe and A LEADER! All our classes fully structured to help your child thrive in a positive learning enviroment. Whether its Manners to be proud of, academic achievement or a healthy lifestyle, we have proven results in our junior programs, regularly commented on by Teachers and parents in all fields of life. 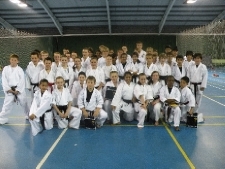 Did you know that Martial Arts is 10 times better than Team Sports in developing a child''s self esteem and confidence? We have trained thousands of children in the 25 plus years since we were established. Parents bring their children to us for many reasons; sometimes the children themselves want to be Karate kids or a Power Ranger and that’s ok because they will develop tremendous physical skills whilst training in our kids karate classes in Derby. How do you know if your child has learned the kind of life skills that will bring them personal success and happiness? Take a moment and look at them with honest eyes. What do you see? - The confidence to make new friends? - The concentration to excel at school? - The courage to meet new challenges? - The awareness and strength to avoid drugs? - The self-esteem to believe in themselves? The children at Jon Jepson Black Belt Academy are learning these skills and attitudes because our programs go beyond teaching students blocks, kicks, and strikes. Our programs teach life skills - the mental and emotional tools that enable your child to achieve their highest goal: becoming the best person they can be! Bullies don’t happen to randomly pick a child, they select one and the selection process for a bully deciding to choose a youngster, your child, as a victim is simple. Based on how they behave, they act, they interact and based on how they look to a bully determines whether another child is an easy target or not. As a student of LBBA, your child will know how to not become a victim and effectively, swiftly deal with any potential bully. The Leadership Academy’s programme is internationally recognised and endorsed by personal development experts! have experienced the tragic consequences of not warning their children about the dangers doesn’t wish they had? It is a very difficult subject but we are experts. Your child will be in very safe hands and you will have the confidence of professional instruction. How does LBBA teach skills and attitudes for success? It's well documented that martial arts training Instills mental focus and self-discipline in children. Stories abound of underachieving students and 'problem' kids transformed, producing good marks and excellent behavior. 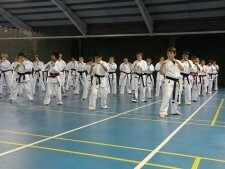 Jon Jepson Black Belt Academy gives your child this vital boost in life. How do we do this? LBBA has developed and teaches an exclusive Character Development & Lifeskills Program. Along with traditional physical training in martial arts, our students study and practice the different mental skills and positive traits that lead to a life of success. The result is a complete learning experience that balances body, mind and emotion, enabling your child to grow as a whole. Who are your child's POSITIVE role models? hope they're imitating friends and role models who exemplify good values. But how can we be sure? Our Leadership Academy understands the importance of role models, so we've chosen our instructors with great care. Our instructors aren't just skilled martial arts teachers - they are much more. They are people who demonstrate the outstanding personal character and values that you would want in any role model for your child.